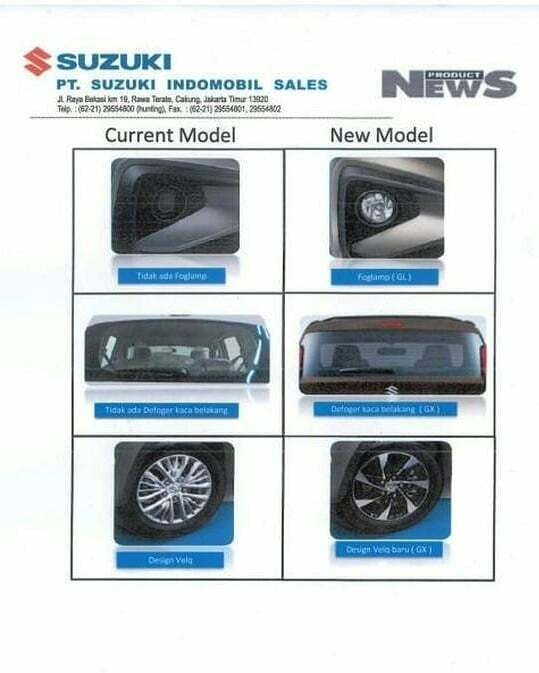 The Suzuki Ertiga (Maruti Ertiga) is about to receive new alloy wheels and additional features in Indonesia this month. A leaked internal document shared by Instagram user Indra Radian Fathan has revealed these changes. The Indonesian-spec Suzuki Ertiga will get more stylish, dual-tone alloy wheels with the MY2019 update. Suzuki sells the Ertiga in Indonesia in GA, GL, GX and GX ESP grades. With the yearly update, it will discontinue the GA and GX ESP grades. This means that it will no longer offer Electronic Stability Programme (ESP) in the MPV. The continuing GL and GX grades will see some equipment revisions and turn more expensive. With the MY2019 update, Suzuki will start offering a foldable grip handle for the first- and second-row passengers and a fixed grip handle for the third-row passengers in the Ertiga. Moreover, the company is adding automatic climate control, reverse parking harness and a flat-type touchscreen audio system. The Indonesian-spec Suzuki Ertiga is available with only the K15B 1.5-litre VVT naturally aspirated four-cylinder petrol engine that produces 104.7 PS at 6,000 rpm and 138 Nm of torque at 4,400 rpm. A 5-speed manual transmission or a 4-speed automatic transmission channels power to the wheels. Below are the changes in the prices coming into effect this month. 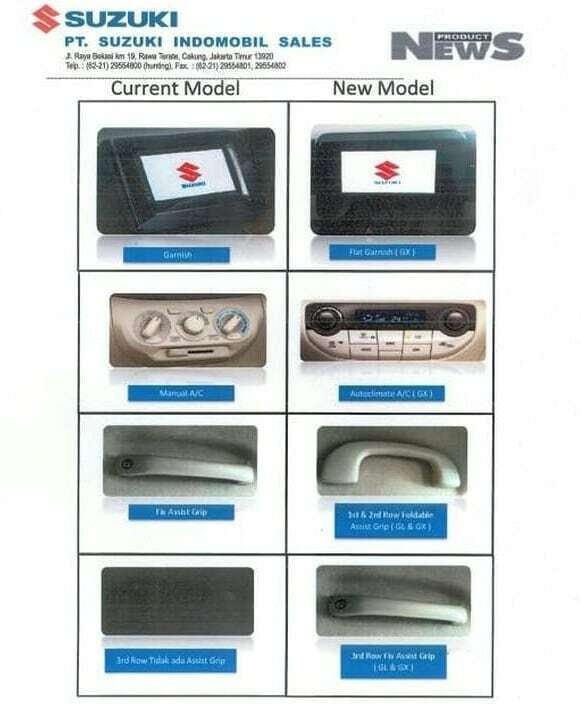 Automatic climate control will become available in the Indonesian-spec version with the MY2019 update. The all-new Maruti Ertiga arrived in India in November 2018 and it is better-equipped than the Indonesian-spec version. Prices start at INR 7,44,000 (ex-showroom Delhi).